In April, we could already report that the theatrical version of Man of Steel is basically Zack Snyder's Director's Cut. It's also known that actually just one flashback scene was scrapped and that the rest of the relevant material was put into the film. 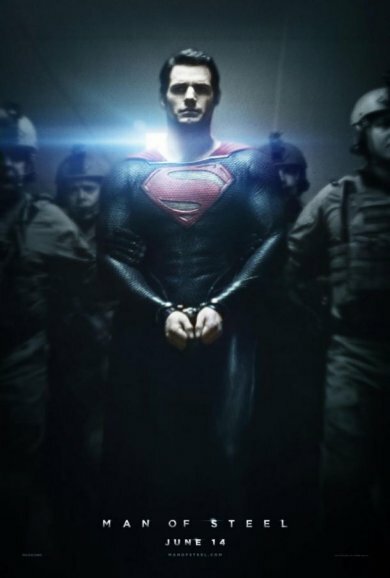 However, Snyder's assembly cut was almost 3 hours long and was shortened for the theatrical run to 148 minutes. The initial material is often what gets removed in the finetuning process and normally consists little pieces in every scene that just sum up by the time. Not only in Man of Steel, but in general. Someone enters the scene 5 seconds earlier, another one exits it 5 seconds longer and of course there are dialogue scenes that aren't needed anymore because their content could be integrated somewhere else or because they are simply redundant. When a movie cut is optimized this way, 20-30 minutes are quickly scrapped and that is the difference that Man of Steel finally has in comparison to the assembly cut. But that can also be a disadvantage when there's a lot going on in the film and many time is absorbed by effect scenes. Oftentimes, the story or characters have to suffer a little because of that. In recent years, especially those big films with a runtime of way over 2 hours miss the air to breathe. They often jump from one plot point to the next and can't rest in between. That's also a criticism that Man of Steel has to endure. The many seemingly unnecessary moments that were removed to optimize the pacing oftentimes have a relaxing function and therefore are frequently included in Extended Cuts. In many instances, many people ask "what's the point of those additions?". When watching the prolonged version after seeing the theatrical cut or when simply looking at our comparisons, that question is understandable but the initial reaction might turn out differently if one saw the lighter version first. COLLIDER: Here’s the thing, I love Watchmen but I love the director’s cut – there’s few scenes that are key to making the film even better. Could you see yourself eventually doing a quote-on-quote extended cut of Man of Steel? COLLIDER: Because it moves fast. COLLIDER: I totally follow but there are moments where they’re talking and all of a sudden you know, the film moves. For fans like me – superfans – another 10-20 minutes, I would have no problem with it. SNYDER: Of course not! I don’t know. I’m going to give that some thought but we really got to the point where – because there’s not cut. It’s not like the studio is forcing us to cut it. There you have it, Snyder thinks about it. If he's really going to or whether he just wanted to skip that part of the interview, is currently unknown. But as mentioned before, the pacing of the movie and especially the overkill in the last 40 minutes was too much for some viewers. Some might welcome an Extended Cut that brings some calmness to the events. And Warner Brothers proved in the past that they're not generally rejecting the idea of making some extra Dollars with additional film versions.